BUT my fellow blogger Brona was super disappointed, and DNFed it! So now, what do YOU think? Am I right to skip 8 and 12? Any other I should skip? I will inform you of my final choice when I publish the next post for this meme. Looks like the reading index is in harmony with the heat index: this month of July has been my best of the year so far, with 10 books read, a total of 2524 pages, that is an average of 81.41 pages/day. On the other hand, I have not finished any audiobook in July, I’m still listening to Wolf Hall, by Hilary Mantel, it is excellent, but very long. It is extremely difficult to pick my July favorite, each being fantastic in its category. In the non-fiction, one about words, one about nature, one about Orthodox theology, all 3 are must reads! I organized a giveaway to celebrate my upcoming 1st blogiversary. Here is the post, in case you missed it. I have had more subscriptions, and visits are going up in number. have begun reorganizing my Reading Challenges pages. started reading for The Art of the Novella Reading Challenge, going on right now, and for the Europa Challenge. I will go on with those in August and begin more actively to work on the Japanese Literature Challenge. have also won an interesting historical novel: For the King, by Catherine Delors, and have received a few books by publishers and authors. The big event for August will be my post on Of Mice and Men on Aug 22, for the Steinbeck Classics Circuit Tour! I am still hesitating on changing the template, to go to a 3 columns site. Any preference? Stay tune, keep cool, and keep reading! ANY GREAT BOOK YOU READ THIS PAST JULY? 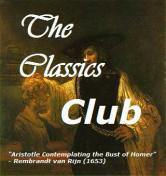 This is a very quick read, it took me about an hour, a nice pleasant summer read I would say. It has a flow to it, and I enjoyed the characters as they break from their conventional daily lives to go back to the beauty and simplicity of spontaneous sibling life, far from the requirements of the city and its duties. The dialogues sound very authentic, even in translation. I have to admit I did not find in it the depth I found in the 2 other books published by Europa I read before that – the 2 books by Murielle Barbey: The Elegance of the Hedgehog and Gourmet Rhapsody. Anna Gavalda is a French teacher and award-winning novelist. Referred to by Voici magazine as “a distant descendant of Dorothy Parker”, Anna Gavalda was born in an upper-class suburb of Paris. 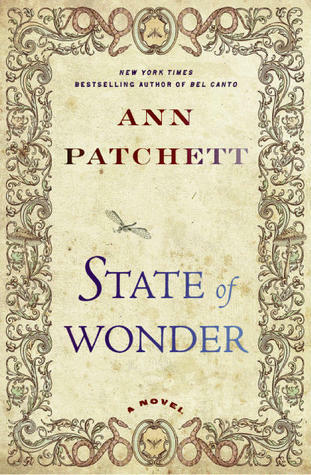 While working as French teacher in high school, a collection of her short stories was first published in 1999 under the title “Je voudrais que quelqu’un m’attende quelque part” that met with both critical acclaim and commercial success, selling more than three-quarters of a million copies in her native France and winning the 2000 “Grand Prix RTL-Lire.” The book was translated into numerous languages including in English and sold in twenty-seven countries. It was published to acclaim in North America in 2003 as “I Wish Someone Were Waiting for Me Somewhere.” The book received much praise and is a library and school selection worldwide in several languages. 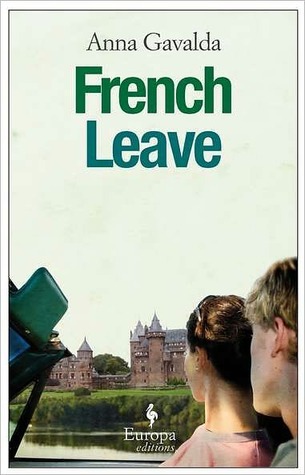 Gavalda’s first novel, Je l’aimais (Someone I Loved) was published in France in February 2002 and later that year in English. Inspired by the failure of her own marriage, it too was a major literary success and a bestseller and was followed by the short (96 pages) juvenile novel 35 kilos d’espoir (95 Pounds of Hope) that she said she wrote “to pay tribute to those of my students who were dunces in school but otherwise fantastic people”. In 2004, her third novel, “Ensemble c’est tout,” focused on the lives of four people living in an apartment house: a struggling young artist who works as an office cleaner at night, a young aristocrat misfit, a cook, and an elderly grandmother. The 600-page book is a bestseller in France and has been translated into English as Hunting and Gathering. As of 2007, her three books have sold more than 3 million copies in France. Ensemble c’est tout was made into a successful movie in 2007 by Claude Berri, with Audrey Tautou and Guillaume Canet. The adaptation of her first novel, Je l’aimais, with Daniel Auteuil and Marie-Josée Croze, was filmed in 2009 by Zabou Breitman. OR ANY OTHER BOOK BY ANNA GAVALDA?